Thorlabs manufactures a wide variety of specialty optical fiber, patch cables, bundles, tools for Optogenetics, and other components at our headquarters in Newton, NJ. Our state-of-the-art fiber manufacturing facility produces our extensive catalog offerings as well as custom and OEM requests. Our fiber draw towers produce silica and fluoride fiber, and our glass fabrication department manufactures fluoride glass preforms. For more information on the products designed and produced by our Fiber department, please click through the tabs above. Additional information on our fiber draw capabilities can be found here. 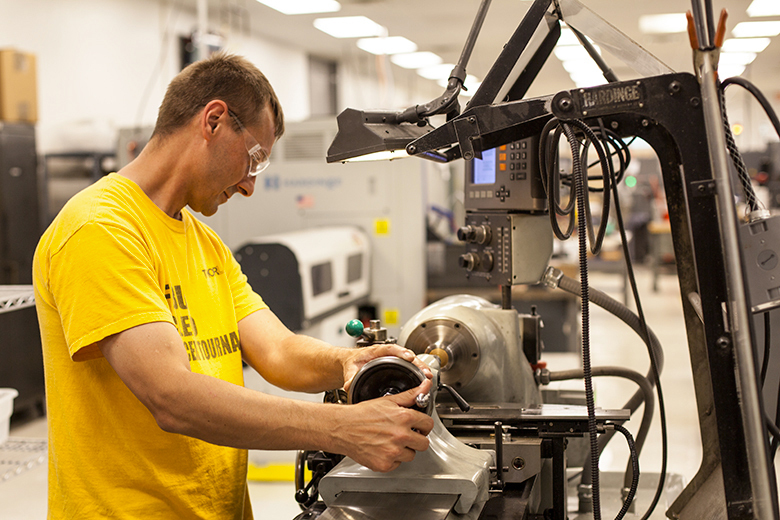 Our in-house machine shop, ThorShop, allows engineers to create prototypes for testing new designs. Our team of fiber design engineers combines their knowledge of optical fiber with experience in mechanical and optical design to produce innovative solutions for a variety of fiber optic applications. Our fluoride glass scientists design and manufacture preforms that we then draw into fluoride fiber. This broad knowledge base ensures the production of high-quality components to support our industry-leading portfolio of specialty optical fiber. After a "raw idea" is introduced, our design engineering team collaborates with our manufacturing engineers on the design. The idea is fully developed and potential concerns are addressed prior to starting any design work. Once the design is finalized, engineers create a 3D model using SolidWorks for mechanical components or design and evaluate optics using Zemax. The team also has full access to our fiber draw towers and ThorShop, our onsite machine shop, which enhance our design capabilities. These steps ensure that new products are delivered to customers as quickly as possible. 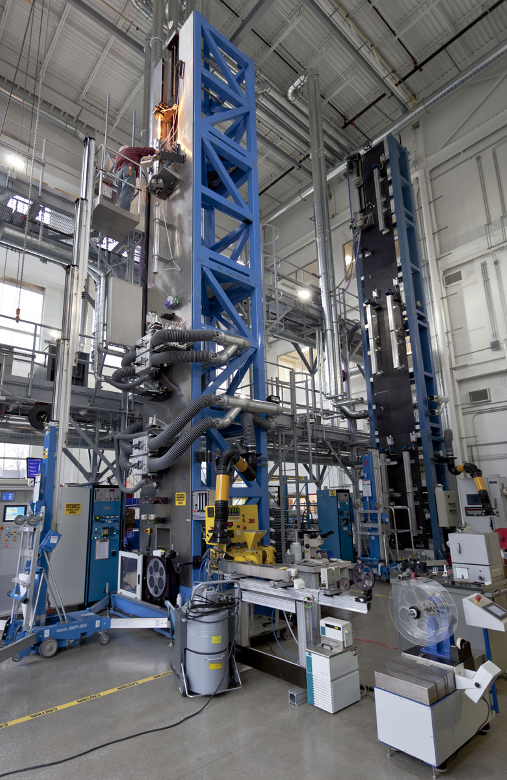 Thorlabs’ ITAR-certified fiber draw facility, located at our headquarters in Newton, NJ, fabricates specialty optical fiber for a variety of applications. In addition to manufacturing our extensive catalog offerings, this facility supports the flexible tower configurations and draw schedules required for fabricating custom fibers. Our engineering team has experience with designing and fabricating fibers for academic, industrial, and government applications. The fiber drawn here can be purchased bare, within connectorized patch cables, or incorporated into many products in our ever-growing line of photonics equipment. This fiber will be sold to laboratories all over the world and will be used for everything from optogenetics to telecommunication applications. For more information about the draw process used at Thorlabs, please visit our Specialty Optical Fiber Manufacturing page. Our Montreal Facility manufactures many of our Fiber Couplers and Wavelength Division Multiplexers (WDMs) in 2x2, 1x2, and 1x4 configurations. While Thorlabs offers a variety of wavelengths and splitting ratios, our streamlined process has the flexibility to create custom parts on request. These custom components can be single mode or multimode with operating ranges between 400 to 2300 nm. Custom packaging and labeling is available. Components can also be created using double-clad fiber, allowing for multimode pump sources to amplify single mode signals, among other applications. All of our standard and custom products are serialized and include an individual product data sheets to confirm their performance. For these data sheets, we typically test our fused-fiber components at room temperature without connectors; however additional performance specifications can be recorded on request. The video to the right shows the steps our skilled fiber technicians take to create these products. Our team of assemblers constructs fiber mechanical components, such as our FiberBench line, and align all optics. Polarizers and fiber isolators are optically aligned to their design wavelength ranges. Items are inspected throughout the assembly process to ensure high-quality finished goods. Hello, thank you for contacting Thorlabs. Please email us at TechSupport@Thorlabs.com to discuss our production procedures. It looks like the contact information you left has a typo in it. We look forward to hearing from you.